Care is what you give to a person in order to show this person that you value him or her. Every human person wants to be cared for and when you are working in the field of health care, you would clearly and indubitably find your job rewarding. Even if you do not know the person whom you are taking care of the way you know your friends and family members, it is good to know that you have been helpful in improving the wellbeing of a stranger. When you are working for the older population, you are making an impact in their lives. Old people can no longer do things on their own like they used to. Taking a bath, preparing the food, cleaning the house and even tending to their own needs can become a burden for them. If you are giving services to these kinds of people, you will find yourself improving their lives. That is what it means to give impact for working with the seniors provides you the chance to create a difference in the life of someone. 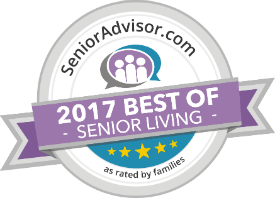 In our caregivers in Bella Care Home, we are more than welcome to work with the seniors in our assisted living facility in Clovis California. It is because the feeling of gratitude is all over the place. When we interact with our fellow caregivers, we share our different stories and experiences with the clients throughout the day and one of the very beautiful ones are the times when our seniors thank us. The elders are really grateful for our help and they do not hesitate to say it and at the same time, our hearts are melting when we learned that they are thankful for our service. Aside from the gratifying feeling we get when we work with the seniors, we tend to get our share of lessons from them. As a person ages, they are accumulating a vast amount of knowledge and wisdom they have learned from the past. That is why the caregivers look towards the time when we interact with them because not only will we hear valuable lessons in life, we get to learn from the experienced and learn to appreciate the people we love in the present more to avoid regrets in the future. The past is a very marvelous world to visit and your ticket towards the past is the stories your clients tell. Seniors have a lot of stories to tell from famous events to how simpler life was back then. This is what we experience everyday while working with the seniors. Here in Bella Care Home, our clients do not only benefit from our service, we, as the caregivers, also get our equal share of benefits. 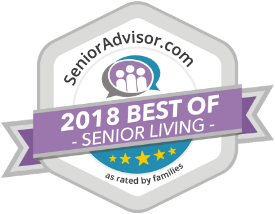 If you want to be a part of our family in our assisted living facility in Clovis California, you can visit our website at www.bellacarehome.com.